We are pleased to announce the third upgrade and relaunch of Trading Automatique.fr! 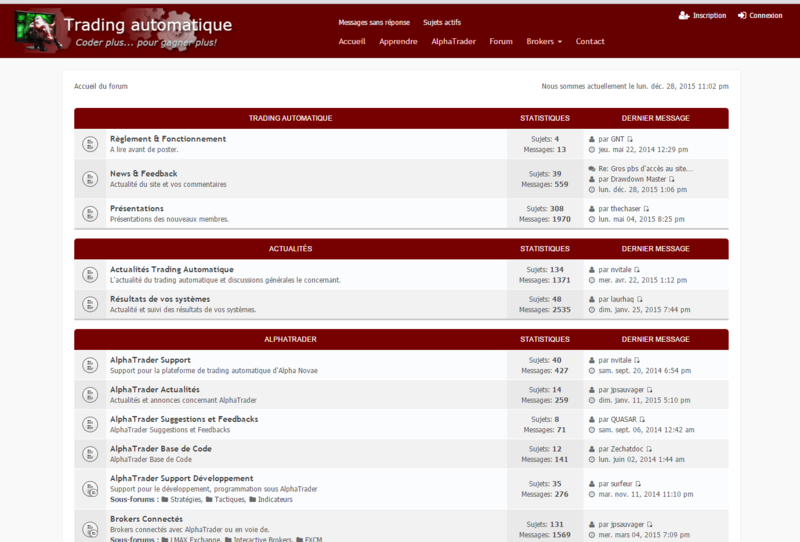 Since April 2009, Trading-Automatique.fr is a unique place of sharing and learning for the french speaking traders community interested in electronic, system, automated or algorithmic trading. The community gathers now more than 3500 traders and its forum has more than 31 000 messages.